Mentoplasty is the correction of chin shape and size. Plasty can significantly improve the facial proportions, remove cosmetic defects, obtained at birth, or as a result of injury or disease. It's simple aesthetic procedure, the price of which is incommensurate with the result that you get at the end. jaw deformity that prevents the patient from speaking or eating. You may notice a slight swelling in the area of intervention and feel numbness of the lower lip immediately after mentoplasty. But these symptoms pass quickly. In a more complex form, the implant may shift or induration of the area around the chin may appear. The patient makes a number of standard procedures in the preparatory period, which includes fluorography, cardiogram, analyses of urine and blood. It can be assigned additionally to check the correctness of the bite. The operation may be carried out in two ways: through the tissue incision under the jaw, either using the internal method - through the incision of the mucous between the lips and gums. The surgeon can use implants for increasing, or just push the jaw bone of the patient forward. When reducing the size of the chin, the unnecessary portion of the bone is being separated. During the recovery period the patient should take medications prescribed by a doctor, wear a suspensory bandage, take the soft and not hot food in case of the internal discission and regularly rinse the mouth with an antiseptic. The average recovery period takes 2 weeks. A significant difference is seen after the correction. The proportions of the face become harmonious, a profile is improved. The "before and after the procedure" photos and the feedback from our patients in the "Reviews" section can give the best information regarding the results of our work. You can find out how much plasty costs in "Our prices" section. Cost may vary depending on the complexity of the operation, the implant size, and the need for additional analyses. 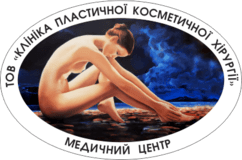 The Poltava "Clinic of Plastic and Cosmetic Surgery" Medical Center LLC provides a full range of services from initial diagnosis and up to the recommendations in the postoperative period. Our clinic guarantees the customer an effective solution of the problems. We use professional equipment and high-quality products in our work; our specialists have all the necessary certificates and licenses. Nov. 12, 2017, 11:51 a.m.
Hello my dear doctors! My name is Alena! I have Been your patient for several years. You made me blepharoplasty lower and upper eyelids, bullhorn, lipofilling of the face, mentoplasty, facelift painting and after painting facelift middle temporal area of the face. I am very happy with everyone! July 28, 2017, 7:28 p.m. I want to sincerely thank Lesya Fedorovna, Ilya Yurievich and Nikita Ilyich, as well as all the staff of the clinic for your work and care of patients!!! I did a re-rhinoplasty with Ilya Yurievich, the result exceeded all my expectations, the nose turned out very harmonious and elegant.Despite the complexity of the alteration, the doctor the surgery was carried jewelry, after surgery swelling and bruises were minimal, all gone within a week after removal of plaster. Nikita Ilyich had a great operation to increase the chin - the shape and size of the chin turned out the way I wanted, and most importantly - it looks very natural. Clinic staff-very kind, attentive and responsive people, and most importantly - real professionals!!!! March 19, 2017, 12:49 p.m. I already see the result of my torment - I think my old young oval has returned, my chin is so nice to touch. He certainly still "not mine", and I feel it as if through a layer of cotton wool, just as the cheeks on the side, which is closer to the hair, in connection with what I would like to ask - can physiotherapy add that advise? And yet - I see, I know and I am sure that I am happy that I decided that I did this operation, but I was afraid until the last minute before the consultation, and at the consultation - from such goodwill and confidence of the doctor - all the fear passed by itself. Thank you very much to the Doctor, thank you to the nurses, especially Vika-she is a very sincere person, every 10 minutes all night resorted to my room. Your entire team is very sincere, thank you and God grant you!!! I will unsubscribe in a couple of weeks and send a photo in all its glory.